Banana Bread is such a classic, that we didn’t want to change it too much when creating our upgraded version for you. Why is it upgraded? Well, it’s probably ticking more boxes than any banana bread you’ve tried before as it’s free from the Top 14 Allergens (and coconut free too! ), Organic, Wholegrain, Refined Sugar & Sweetener Free and there’s a vegan recipe on pack!! This mix encourages you to use the old, brown bananas that you might normally throw away, so it’s helping you save money and reduce waste, as well as tasting amazing! 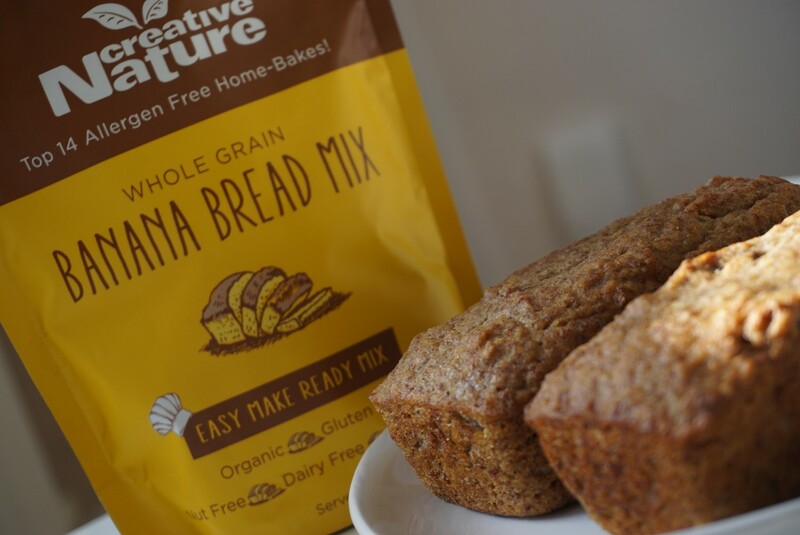 Are you in a time crunch and want to make a lovely loaf of banana bread at home with no fuss? Well then this is the perfect mix for you! Mash up the bananas in a mixing bowl with a fork, then pop in the other ingredients and give it all a good stir! (Singing loudly at this point is reported to improve taste). Spoon the yummy mixture into a grease-proof 2lb loaf tin. Bake between 25 mins, until beautifully brown on top, then cover with foil and bake for another 20 mins. Share with friends, or gobble it all up, your choice!